Run the appropriate 32bit (x86) or 64bit (x64) USCustomVariables.msi installation file which is available in the Applications category (or as a search) of Tekla Warehouse. Have Tekla Structures closed during installation. Reopen Tekla Structures once installation is complete. You will need have the prefix “CUSTOM.” in front of each variable where used. Some of these variables rely on certain user defined attributes to be used that come with Tekla Structures usimp and usmet environments. These are specified for each case. formatting: E.g. Length -> ft-in -> 1/16”. These variables read in the PROJ_DATUM_X, _Y, and _Z values automatically. These are designed so you can enter a project datum offset in the project properties user defined attributes once and it can be ready automatically for these variables helping you to avoid doing long, repetitive formulas and eliminating the need for you to model far from the origin to get the correct value in reports and drawings for positions. ***All variables in this section expect to be run only on part type objects in the model. 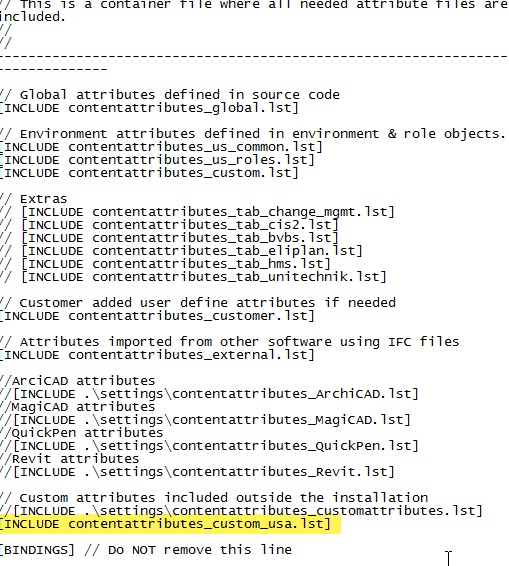 These are not using any global offsets. Some of these values are not available in the templates normally, others save you long, repetitive formulas to get the values you need. *These variables are relative to the exact center (calculated by extrema’s) of the start relative end of the part and are limited to part type objects in the model. Weight of concrete assembly accounting secondary parts, reinforcement, bolts, and welds. Assumes sub-assemblies are exterior to Cast Unit. Does not remove displaced concrete weight of steel sub-assemblies prior to 2017 release version. Volume of concrete assembly accounting for secondary parts, reinforcement, bolts, and welds. Does not remove displaced concrete volume of steel sub-assemblies prior to 2017 release version. Weight of concrete parts in assembly accounting secondary parts, reinforcement, bolts, and welds. Removes displaced concrete weight. Volume of concrete parts in assembly accounting for secondary parts, reinforcement, bolts, and welds. Removes displaced concrete volume. ***All variables in this section expect to be run only on concrete part type objects in the model. Volume of reinforcement in assembly, sub-assemblies, and secondary parts. Includes all reinforcement types. Weight of reinforcement in assembly, sub-assemblies, and secondary parts. Includes all reinforcement types. Volume of mesh reinforcement in assembly, sub-assemblies, and secondary parts. Weight of mesh reinforcement in assembly, sub-assemblies, and secondary parts. Volume of strand reinforcement in assembly, sub-assemblies, and secondary parts. Weight of strand reinforcement in assembly, sub-assemblies, and secondary parts. Volume of rebar in assembly, sub-assemblies, and secondary parts. Weight of rebar in assembly, sub-assemblies, and secondary parts. field. For group rebar, the length fields are summed to account for quantity, execpt for tapered which returns 0.0. **Weight per unit length is pulled from the “rebar_database.inp” tables automatically. ***All variables in this section expect to be run only on reinforcement type objects in the model. The weight taken from the profile weight per unit length multiplied by length in the model minus the difference in the weight gross and net. Works for part type objects. Intended for polybeams only. Returns 1 if beam is bent along flange, 0 otherwise. Intended for parts with circular hollow tube profiles. Gives the circumference at centerline. Checks if part has polygon or part type cuts on it. Returns 1 if true, 0 otherwise. Checks part solid to see if it has any copes. Copes are defined as a flange cut 1” back from end of fitted end on top or bottom at any end. Returns 1 if true, 0 otherwise. Checks the report properties (ENDx_SKEW) for each end to see if it has true value. Returns 1 if true if either end has skew value, 0 if neither do. Returns 1 if true, 0 otherwise. Checks part for any bolt hole elements. Returns 1 if true, 0 otherwise. Checks part for welds, shop or field. Returns 1 if true, 0 otherwise. Checks part for shop welds. Returns 1 if true, 0 otherwise. Checks part for field welds. Returns 1 if true, 0 otherwise. Checks part for any bolt elements that are not bolt standard “STUD”, field or workshop. Returns 1 if true, 0 otherwise. Checks part for any shop type bolt elements. Ignores stud type bolts. Returns 1 if true, 0 otherwise. Checks part for any field type bolt elements. Ignores stud type bolts. Returns 1 if true, 0 otherwise. Checks part for bolt type elements with bolt standard set to “STUD”. Returns 1 if true, 0 otherwise. Weight of steel assembly including secondary parts, sub-assembliies, reinforcement, bolts, and welds. Volume of steel assembly including secondary parts, sub-assembliies, reinforcement, bolts, and welds. Volume of bolts in assembly, sub-assemblies, and secondary parts. Weight of bolts in assembly, sub-assemblies, and secondary parts. Volume of welds in assembly, sub-assemblies, and secondary parts. Weight of welds in assembly, sub-assemblies, and secondary parts. Note: These variables only work if drawing is open and current. Intended for cast unit drawings only. Returns the number of other drawings of the same part as current drawing. This is useful when creating more than one drawing of a castunit and need sheet x/y where “y” is the number given by this variable. Provides a summation of the rebar weight for a drawing. Some areas of Tekla Structures functionality give strings always for these type values, for example filtering, but the values should be there and usable. Fixes issue where variables weren't working in selection filters. In Tekla Structures, the grids are projected onto the view plane and the grid lines can be visible on it. View depth is defined starting from the view plane. User coordinate system makes it easier to place drawing objects, because the user can place the drawing objects relative to a user-defined point of origin, or a base point in the drawing view. Tekla Structures displays the user coordinate system symbol in the current drawing view when the user creates, copies, moves, or modifies drawing objects. Formula is part of an equation.